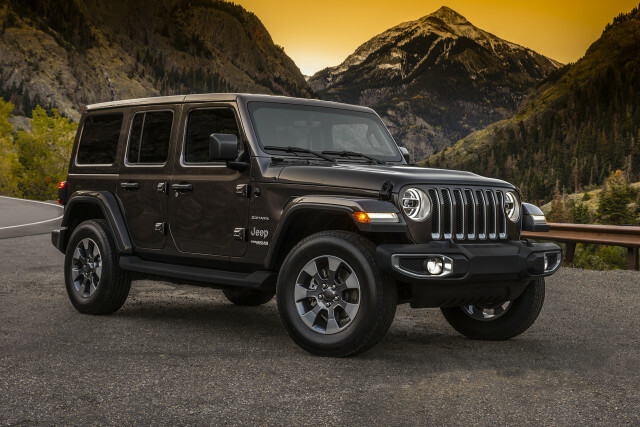 Ahead of the next-generation 2018 Jeep Wrangler's debut, the EPA released fuel-economy estimates for the V-6 powered model of the archetypal SUV. They're higher, as are the ratings for pretty much every new model, courtesy of steadily rising corporate average fuel-economy rules for model years 2012 through 2025. 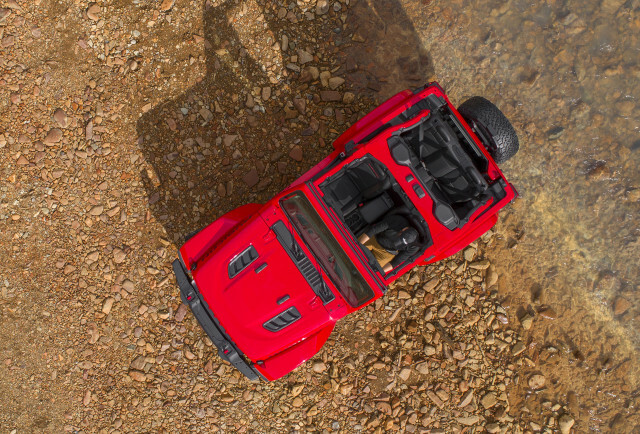 The biggest help for the Wrangler is the addition of an 8-speed automatic to replace the archaic 5-speed automatic transmission in the current Jeep. New Wranglers equipped with a 6-speed manual transmission see modest improvements as well. The EPA estimates, first reported by Roadshow last month, rate the all-new 2018 Wrangler at 17 mpg city, 23 highway, 19 combined with that 6-speed manual, the standard transmission. When equipped with the optional 8-speed automatic, the SUV will return an EPA-estimated 18/23/20 mpg. Confusingly, Jeep will still sell the current-generation Wrangler as a 2018 model as well, hence the generational distinctions used. In comparison to the current Wrangler, the EPA estimates show increases of 1 or 2 mpg across the board. The current SUV returns 16/21/18 mpg with the 6-speed manual and 16/20/18 mpg with the 5-speed automatic. The figures for the new model with the manual gearbox represent a 1-mpg increase in the city, 2-mpg increase on the highway, and 1 mpg higher combined. Additionally, the 8-speed automatic provides 2 additional mpg in the city, a 3-mpg increase on the highway, and a 2-mpg increase combined. 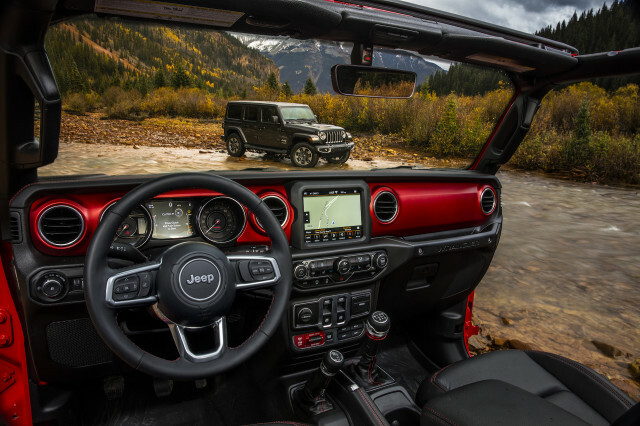 Following the next-generation 2018 Wrangler's launch, the brand will reportedly introduce a 2.0-liter turbocharged inline-4 engine as an option, mated only to the 8-speed automatic. No EPA ratings are available for that combination so far. 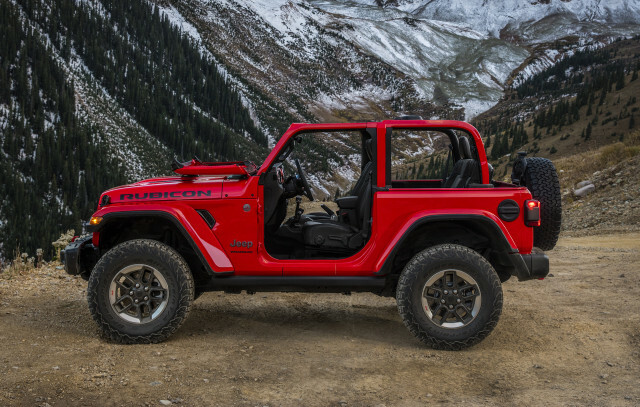 Following the two gasoline engines, Jeep will also reportedly introduce a diesel engine to meet fuel economy regulations; the Wrangler is a tough vehicle to make efficient, after all. The diesel-engine option likely won't launch until 2019 as a 2019 model. Jeep will launch one last powertrain option with a Wrangler Hybrid, though it's unclear when the variant will launch. A previous information chart showed the SUV's hybrid option coming after its 2017 launch, but before 2022. The same chart noted the next-generation Ram 1500 full-size pickup truck will also gain a mild-hybrid option. Fiat-Chrysler Automobiles' CEO, Sergio Marchionne, has previously shied away from electrification and tossed cold water on the future of electric cars. With CAFE standards looming, FCA will likely have no choice but to embrace hybrids and electrification sooner rather than later.